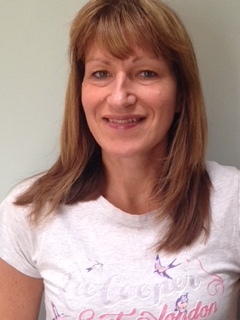 Christine Wadsworth is an experienced British pharmacist with more than 25 years of experience in the profession. She has worked in almost every pharmacist job you can imagine: first as an assistant at a local pharmacy in her teens, as a Consultant in ‘Boots’ – a UK chain of community pharmacies, in a clinical setting as a clinical pharmacist in Billinge Hospital in Wigan, England, then moving to Warrington and Halton Hospitals NHS Foundation Trust, and later on working at Halton & Helens Primary Care Trust. After experiencing disappointments from the workflow inefficiencies in hospitals, she decided to move from the clinical environment to the healthcare IT industry. So far, she has led the implementation of electronic prescribing and medication management systems (ePMA) for various providers in nine NHS Trusts. She is currently the ePMA Implementation Lead at Advanced. We talked to Christine about her career, the development of the pharmacy professions, and how ePMA systems fall into hospital workflows. For a warm-up: where does your interest in clinical pharmacy come from? Was your perception different in your teenage years? In your clinical career, you worked in very different settings – Billinge hospital was a maternity and gynaecology institution, Warrington and Halton Hospitals NHS Foundation Trust was an acute trust, and Halton & Helens was a Primary Care Trust. How did your work differ? 'It was very different from institution to institution. Billinge Hospital was very specific, because it had a few very different specialties – obstetrics, ENT, gynaecology, and mental health. This was very different compared to acute care trust. In Billinge Hospital I had various responsibilities. I worked as a dispensary manager for part of the week, and for the rest of the week I worked as a clinical pharmacist on clinical wards, and in drop-in clinics. Drop-in clinics were like a consultancy service for mental- health patients to discuss their therapies with a pharmacist. In the mental- health setting, there were quite a lot of relatively young patients who wanted to talk about their medications, but felt intimidated during the ward rounds, which were less private, because of the many clinicians present. It was hard for patients to express their feelings. After that, I worked once a week in a Boots pharmacy and partially in Warrington Hospital. Did you rotate along many wards in Warrington? 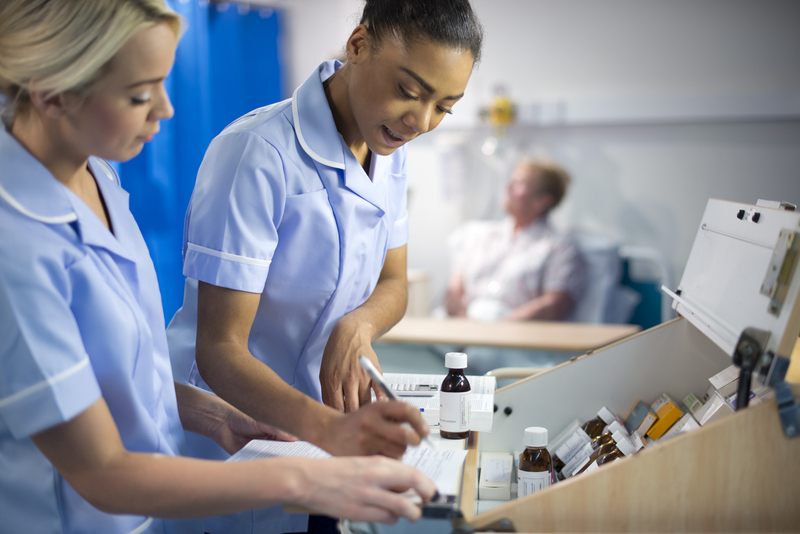 How does the work for a pharmacist differ based on the ward and the patient he or she is assigned to? Discharge times are still a huge problem today. There is a saying that when you see one hospital, you have only seen one hospital. Every one is different. Is it possible to say which specialty is most demanding with regard to the medication reconciliation a pharmacist must do? What was the longest patient stay in your career? What did medication management for those patients look like? ePMA systems are only at the beginning of adoption in many hospitals in the UK. Did you have any experience with them in your clinical practice? You received quite a few experiences with ePMA systems in your career change. What drove you from clinical practice to healthcare IT? How was it for you to work with IT people, since they have their own perceptions and ideas regarding system improvements and the way clinical work-flows could or should look? 'IT specialists have assumptions about how IT systems will be used in healthcare, and how they will be perceived by users. They believe that people will rely on decision support when, in reality, you cannot assume that anyone will do anything. Some hospitals want specific alerts, and others do not. When too many alerts pop up, users do not read warnings, or even turn them off. Then a medical error happens, and the users will say the system did not warn them about things like allergies. It is vital for decision support systems to have different levels of warnings. I recently read the book Four Tendencies by Gretchen Rubin, which I think applies very well to healthcare. The book talks about the four ways in which people work. We can take a medication prescription as an example. Some people will flat-out refuse to take them. Other people will ask, ‘Why do I have to take this?’ and if you provide them with a satisfying answer, they will take the medication. The third group of people will require testing, and constant re-confirmation that taking the medication makes sense. Then, there is the fourth group of people, who will take medication without question, because they always do as they are told. During a free webinar Christine Wadsworth shared her insight into the specifics of mental-health medication management, and how the ePMA systems in these settings differ from acute healthcare trusts. Tjaša Zajc is a former healthcare journalist, curious about how technologies are healing healthcare globally, and how to connect the right stakeholders for the best benefit of the patient.